The Mid Day Meal Authority was constituted under the Uttar Pradesh Society Registration Act 1860. The concerned government order was issued on October 9 th , 2006. 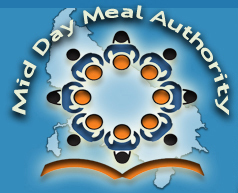 The authority has been constituted for the operation, management and monitoring for the Mid day meal scheme. Chief Secretary, Govt. Of U.P. Principal Secretary, Basic Education, Govt. Of U.P. Principal Secretary, Finance, Govt. Of U.P. Principal Secretary, Planning, Govt. Of U.P. Principal Secretary, Panchayati Raj, Govt. Of U.P. Principal Secretary, Rural Development, Govt. Of U.P. Principal Secretary, Urban Development, Govt. Of U.P. Principal Secretary, Food And Civil Supplies, Govt. Of U.P.